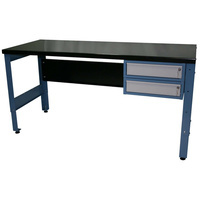 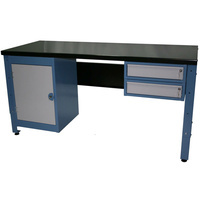 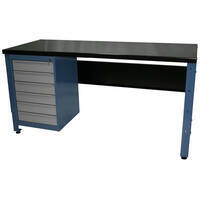 Ezylok Mobile Heavy-Duty WorkBenches are manufactured from steel. 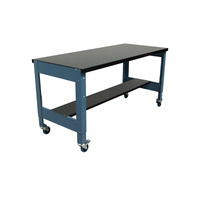 Each unit is fitted with Heavy Duty castors (2 Fixed, 2 Swivel with Brake). 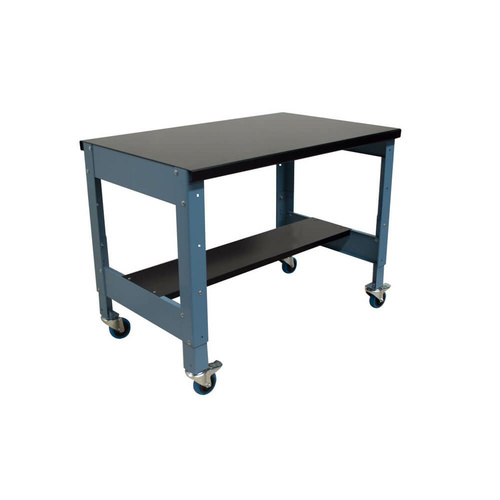 All Mobile workbenches come with wheels which are 100mm in diameter and 130mm in height. 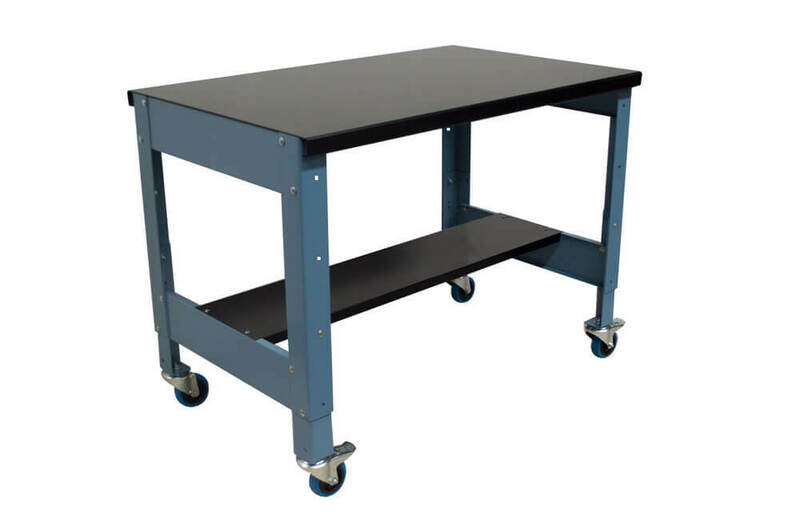 The wheels are made from High Resilient Solid Blue Rubber which is non-marking.